The team, comprised of four field service operators and their manager, are all United States Armed Forces Veterans, and have extensive training in commercial and residential lighting and controls. All team members have been trained and certified to install and program Lutron’s Vive control system. 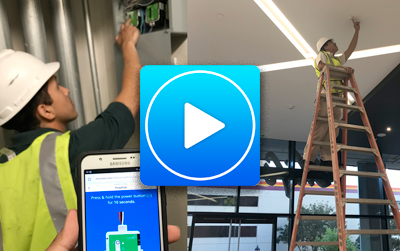 Vive is a wireless commercial system that has been changing the game for contractors and building owners alike, with its wireless, easy to install and commission system that is completely scalable, instantly meets code, and adheres to Title24. The team is also certified to work on all non-processor-based systems such as Lutron GRAFIK Eye QS, and Lutron’s Energi Savr Node. The exceptionally skilled staff is a locally based extension of the Western sales team that is able to directly connect to building owners and contractors to assist with installation and programming of projects in San Diego County, Orange County, Riverside County, and Los Angeles County. “I handpicked my team from a large list of military candidates exiting their obligation of service; being prior military myself and working for Lutron prior, I knew what type of skills and personality would be required to make a capable team. But just not capable; the A-Team,” said Field Service Manager Joseph Lagor. Western has made a large impact on the Southern California market with their revolutionary field service team who is able to take job opportunities from start to finish. The team has earned a reputation for being quick to a job site (usually with only a 10-day notice) and exceedingly knowledgeable on product, all while providing top level customer care. Western’s field service team proudly commissions Vive projects on a daily basis, and looks forward to earning your business. For information contact Jimm Reifsynder at jimm@westernecs.com, or Field Service Team Manager Joseph Lagor at jlagor@westernecs.com.